desperate effort to launch a new book-related businesses—the design and manufucter of e-readers—that it has no particular expertise in. All very understandable…. This isn’t the biggest deal in the world, but I think this deserves some pushback from a child of suburbia. See, the whole idea of warm and fuzzy neighborhood bookstores strikes me as very much an urban one. That’s not to say they didn’t exist outside of cities before the rise of the chains. Of course they did. When I was growing up, my family mostly patronized the Garden Grove Book Shop and were quite friendly with Irv, its owner. It doesn’t exist anymore, of course, and although that’s unfortunate on one level, it’s not really a great loss on another. You see, the Garden Grove Book Shop was pretty small. That’s not because it was a specialty store, it’s just because it was small. So the selection was limited, and if you needed something they didn’t have you had to order it. It would then show up a couple of weeks later. And while we might have hung around to chew the fat with Irv while we were there, his shop didn’t have any espresso machines or comfy chairs or anything like that. It had shelves with books in them. 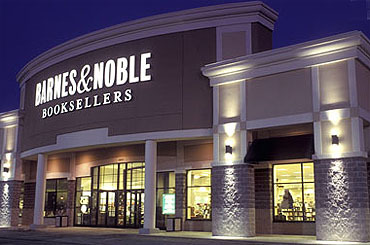 Well, now Garden Grove and its surrounding area has a bunch of Barnes & Noble outlets. And guess what? Soulless or not, they’re just way better. They have a bigger selection of books, they’re open to 11 pm, bestsellers are discounted, and comfy chairs abound. If you’re older than me, you might still have some nostalgic feelings about neighborhood bookstores, but even then probably not much. And if you’re my age or younger, you probably barely care at all. Big cities have either (a) big neighborhood bookstores or (b) lots of little bookstores. That can be pretty nice, and I understand the attraction. But suburbia never had that. For us, Barnes & Noble has been great. If it dies, it’s not going to be because of nostalgia for small bookstores, it’s going to be because too many people prefer Amazon.com. And that’s the point at which I’ll start getting nostalgic too. I don’t really care that my book browsing no longer takes place in small, cramped neighborhood bookstores, but I do like to browse — and while Amazon is doing everything it can to make books browsable online, it’s not the same. So if B&N goes under, there will literally be almost no place left in my neck of the woods to just walk around and look for a good book. This makes me, child of suburbia that I am, a big fan of soulless chains.